You can't go wrong with chocolate cake. It's the perfect treat for every occasion. 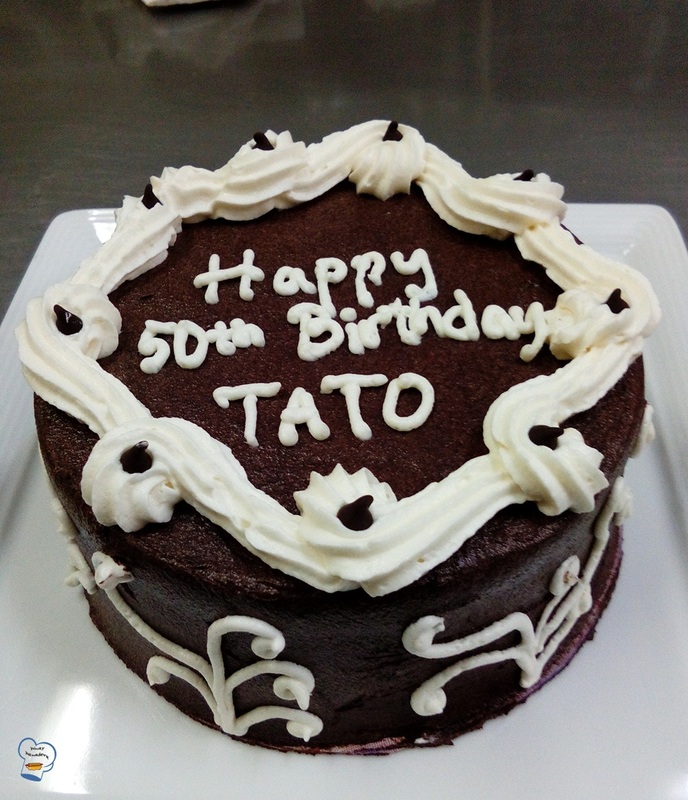 When a female guest came to the resort for her 50th birthday celebration, I thought chocolate cake would be ideal. My decision did not disappoint. The serving plate came back with nothing left on it. 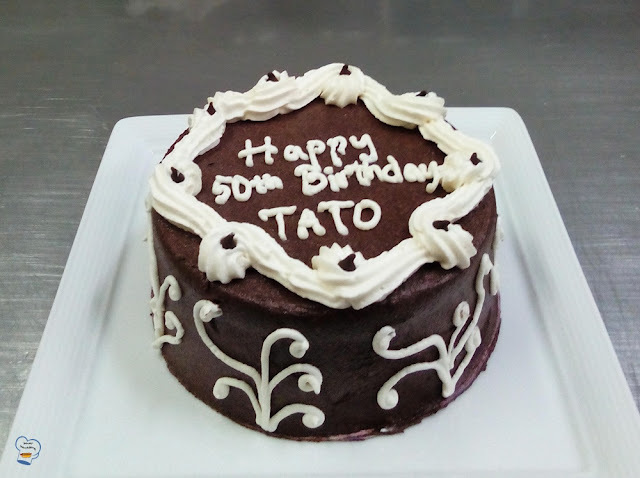 I stick to my usual go-to cake recipe and frosted it with chocolate butter cream. 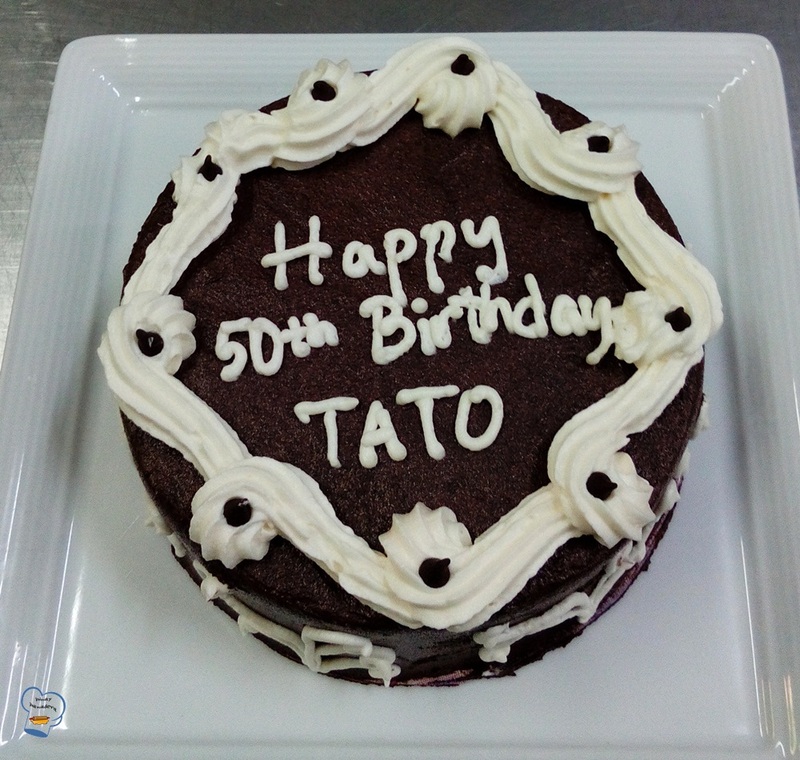 I decorated it using vanilla butter cream and dark chocolate chips. Nothing fancy. It was Sunday. I can't go the extra mile really as it happened to be the busiest day of the week at the resort. It was good nonetheless.